Maine recently enacted a new voting system – moving from the traditional plurality, where the candidate with the most votes wins, to a rank-choice process, under which a candidate must win a majority before they can win the election. Under the use of the new system, a House seat in District 2 was flipped to Democratic control – resulting in immense controversy over the legitimacy of rank-choice voting. The rank-choice voting (RCV) process allows voters to cast their ballot for their favorite candidate and rank the others in terms of preference. If a candidate receives a majority then he or she wins the office. However, if no candidate receives a majority, then the candidate with the fewest votes is eliminated and the voters who ranked that candidate first have their ballots counted for their second choice. This process continues and the candidate with the least votes after every count is eliminated until a majority is reached. 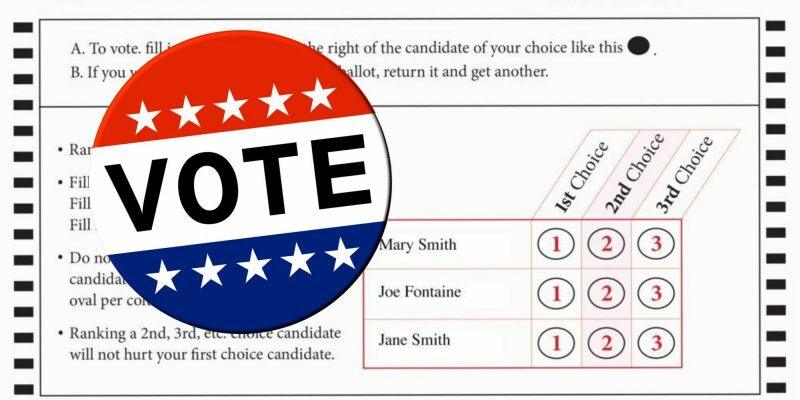 The decision to change to rank-choice voting has long been considered in Maine due to the strong independent, third-party bids. Nine of the past eleven gubernatorial elections in the state have been decided by less than a majority. The implementation of the new voting system seeks to diminish the possibility of similar results in the future. In Maine, the new system was approved with a slim majority of 52 percent of the votes, which only adds to its controversial nature. Because only a slight majority of voters in Maine support the new voting system, a question of legitimacy to a candidate elected through tabulations arises. The debate over RCV allows for lawmakers to continue to drag their feet and raise questions about whether the newly elected candidate truly represents the people. However, those supporting RCV contend that the new voting system has cleared all legal qualifications. Numerous courts, including the 9th Circuit Court of Appeals in California, have upheld the constitutionality of RCV. Under the court decisions, it is understood that the Constitution does not explicitly state that officials are elected through a plurality. Poliquin and those who support his rejection of the RCV system argue it is upsetting the “foundations of our democratic process” and rejects the right of citizens to cast their vote effectively. An important aspect of this case is the declaration that RCV rejects the notion of one person, one vote – thereby violating the Equal Protection Clause. Poliquins’ Democrat opponent Jared Golden and his campaign retorted that any attempt to change the rules of the election after a winner has been declared is “an affront to the law and to the people of Maine.” He also stated that Poliquin should have filed the lawsuit prior to the election if he truly believed that the new voting style was unconstitutional. RCV widens the opportunity for third-party and independent candidates to get elected in the current two-party system. Most people would likely continue to put a candidate from the two main parties as their number one choice, but their second choice may be an independent with characteristics resembling those from either party. Therefore, if additional tabulations were necessary for a given race, a greater number of votes could be switched to the second choice of an independent candidate. At the current moment, the new voting system is being used in state and federal primary elections in Maine. RCV cannot be used in gubernatorial or state legislative races because it undermines the state constitution of Maine, which argues that both of these types of races must be elected by a plurality vote. There has been no other controversy about the use of rank-choice voting from the other Maine Congressional races, as in the other two elections, candidates Democratic Rep. Chellie Pingree and Independent Sen. Angus King won with majorities in the first round – thereby meaning that no further tabulations were necessary.